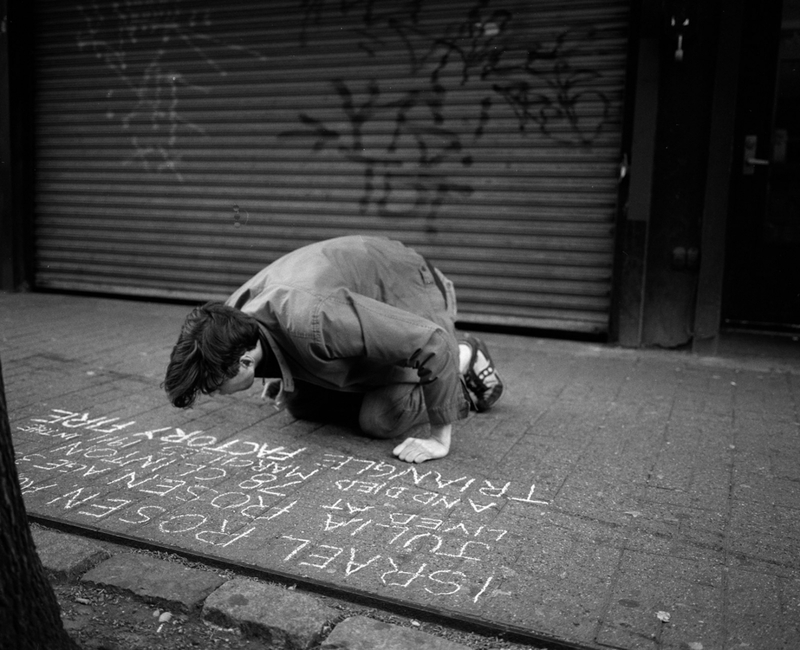 On the anniversary of the Triangle Shirtwaist Fire of 1911, volunteers chalk the names of the victims on the sidewalk in front of where their homes were throughout the New York City’s Lower East Side. On March 25 of 1911, the Triangle Shirtwaist Factory, a sweatshop in New York City’s Greenwich Village, caught fire. One hundred and forty-six garment workers died, many of them jumping to their deaths because the stairway and exit doors had been locked to keep the mostly young, underpaid Jewish and Italian immigrant workers on the sewing machines. The outrage over this event helped to build the modern labor movement in America. Later in the day, after I followed this volunteer through the crowded streets of lower Manhattan, where immigrant families from Sicily and Eastern Europe settled at the turn of the 20th century, including my own grandmother, it rained. The chalk began to run, and when I was walking around a few days later, there was no sign that the names of the young women had ever been written on the sidewalk. For me, that is history.